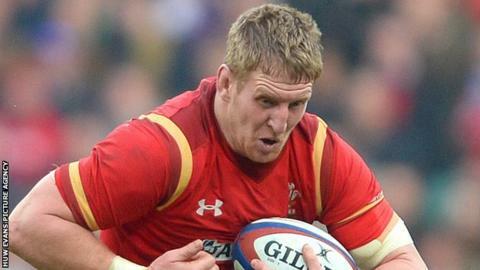 Wasps director of rugby Dai Young has confirmed lock Bradley Davies has held talks about a return to Wales. Ospreys are understood to be leading the chase to sign the 29-year-old former Cardiff Blues player. Davies has a year left on his current contract at Wasps, which means potential suitors may have to pay a compensation fee for his early release. "From our point of view there's been nothing finalised or agreed," said Young. "But there's certainly been interest shown and it's ongoing discussions at this moment in time." Those negotiations are believed to be at an advanced stage with Ospreys. Davies had been linked with a return to the Blues but, despite previously confirming interest from Welsh regions, ex-Blues boss Young said there had been no approach from the Arms Park side.